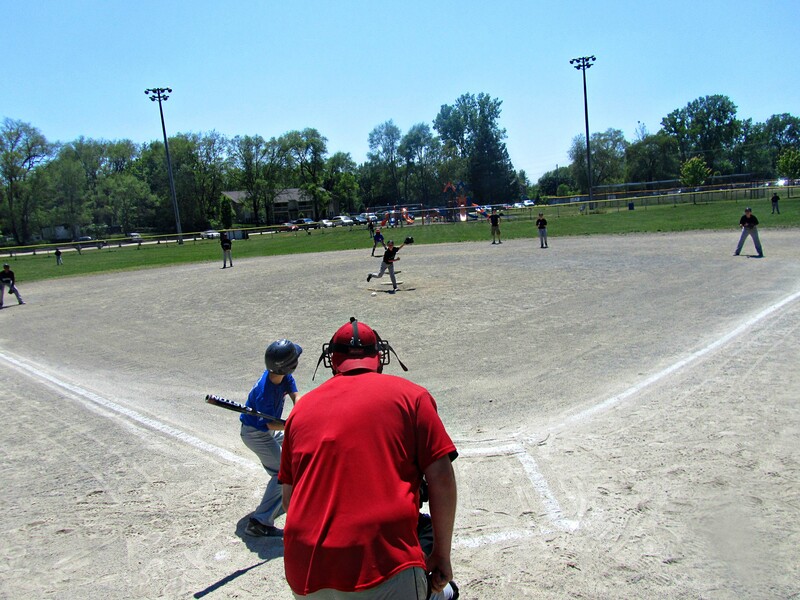 On this Saturday, we had our usual three soccer games–10:45, 11:40, and 1:15 and then at 2:30 there was a baseball game. We wouldn’t be able to get home between games, so I heated up some calzones. I also started supper before I even had started breakfast. 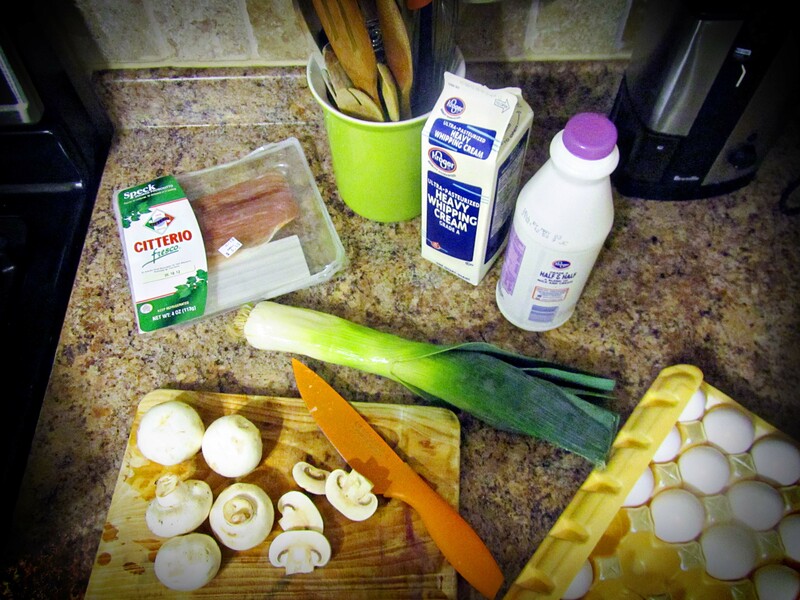 I needed a “back burner” meal–one that could cook all day and be ready at 5:00 when we finally got home for the day. DRIP BEEF (pg. 64) sounded perfect. As usual, I doubled the recipe so I could freeze some for when I would be gone to Dallas for the trade show. 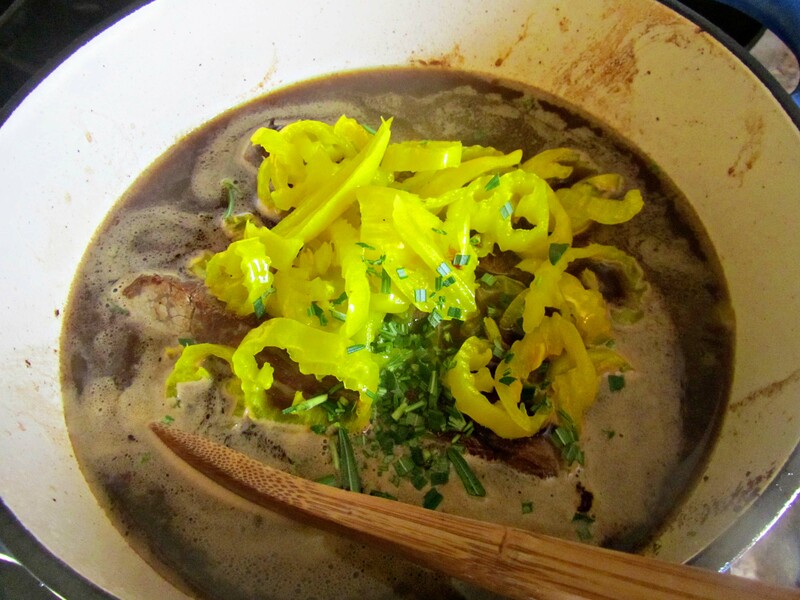 I make my own chicken stock and rarely have to buy any, however, I don’t usually have beef stock on hand. 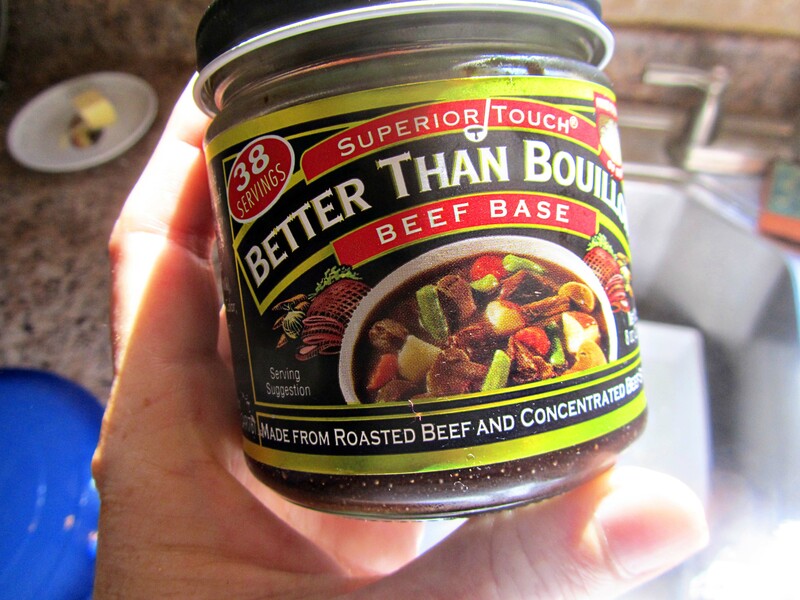 This concentrate called “Better Than Bullion” is handy to have around to add flavour to gravy and stews. It contains no MSG, and doesn’t have a “canned” taste. 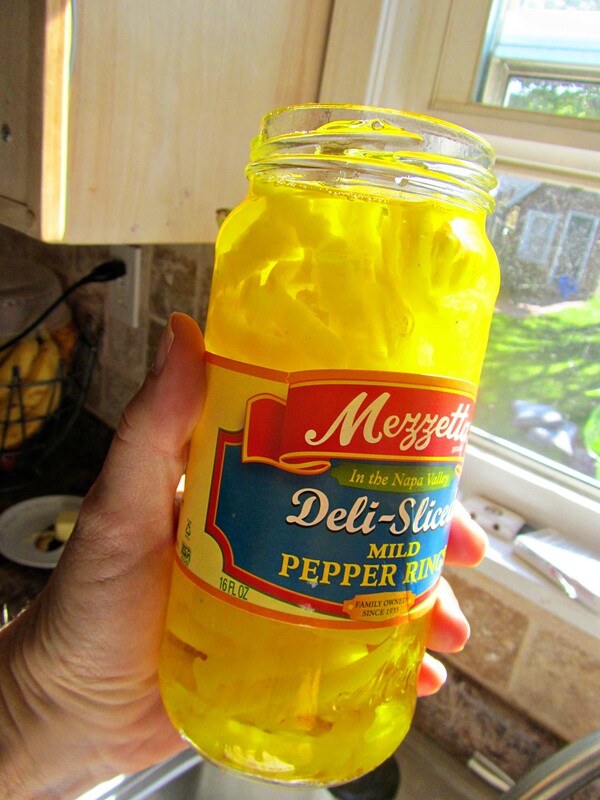 Pioneer Woman’s recipe calls for a jar of peperoncinis. I had pepper rings which aren’t quite as hot, but just as tangy. Next time I will buy the peperoncinis, but these will have to work until then. I turned the burner to low and put on the lid. Then I started breakfast for the family. 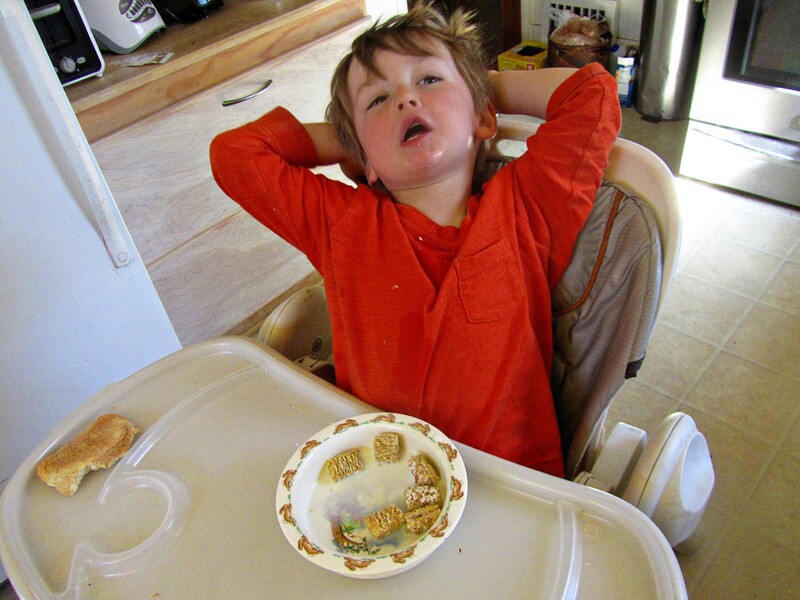 As much as I like to get eggs into the kiddos on a full day of sports, it sometimes doesn’t happen. 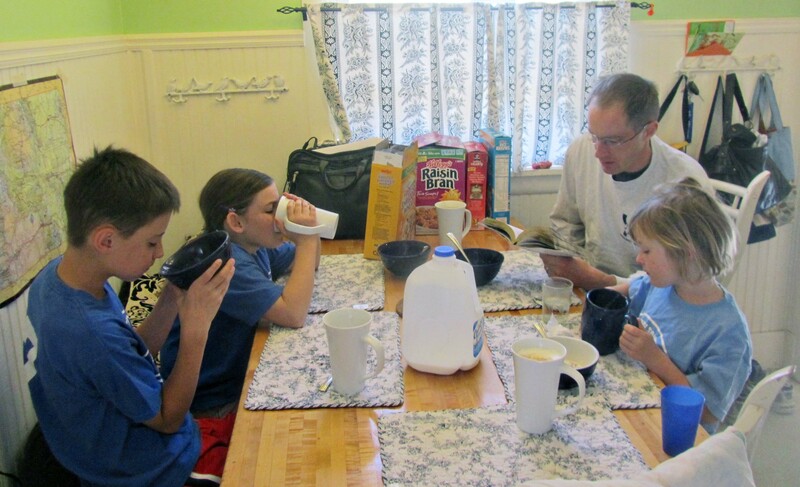 The Daddi likes to make sure that along with their breakfast they get something from The Word (Bible) to start off their day. Little Man wasn’t ready for a morning of rushing around; I don’t blame him. I often feel the same way. The day was beautiful, and once the coffee finally hit my blood stream, I was excited to spend it all out-of-doors. We loaded up and headed to the soccer fields. 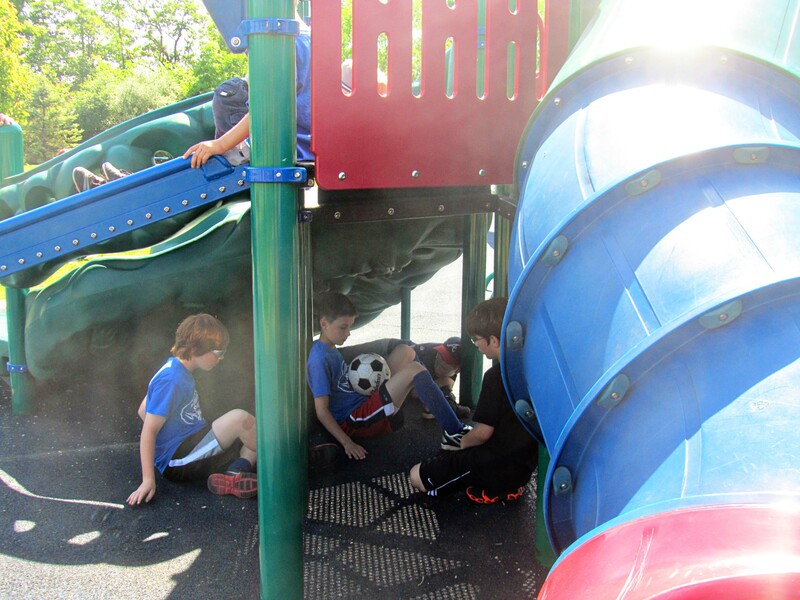 There is an amazing play ground at the soccer fields. Here is a soccer conference of the guys during the girl’s first game–except that they weren’t talking about soccer, but about video games. 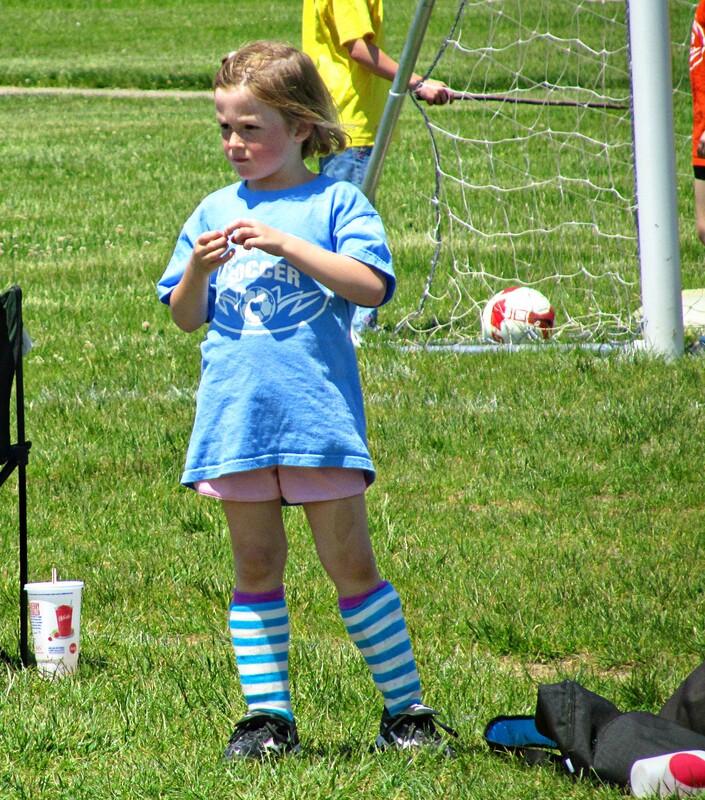 Eloise’s game was scheduled for 11:40, however four teams showed up on the field to play at that time, so her game was rescheduled for 12:45. We decided to dash home for more water and to cool off a bit. 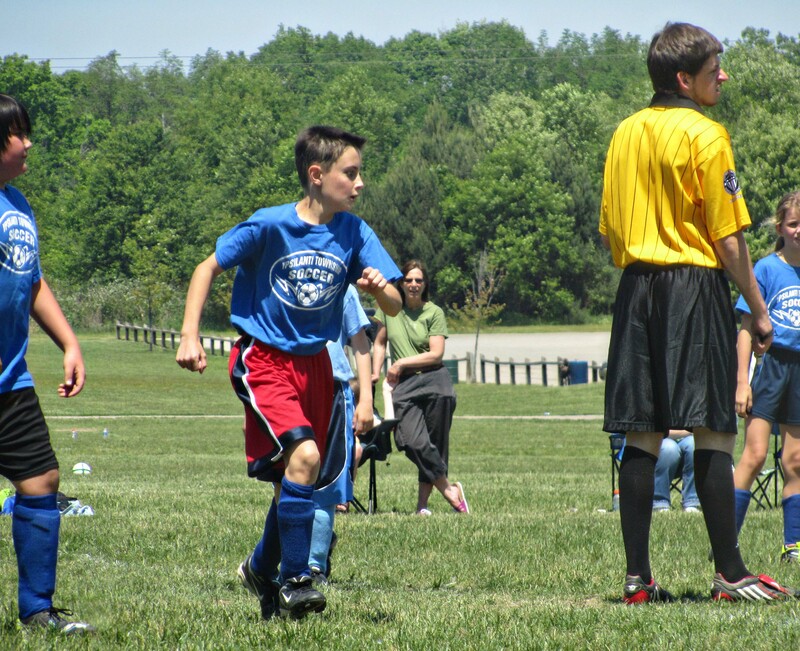 After a short trip home, we headed back to the soccer fields for LBG (Little Big Guy’s) soccer game. 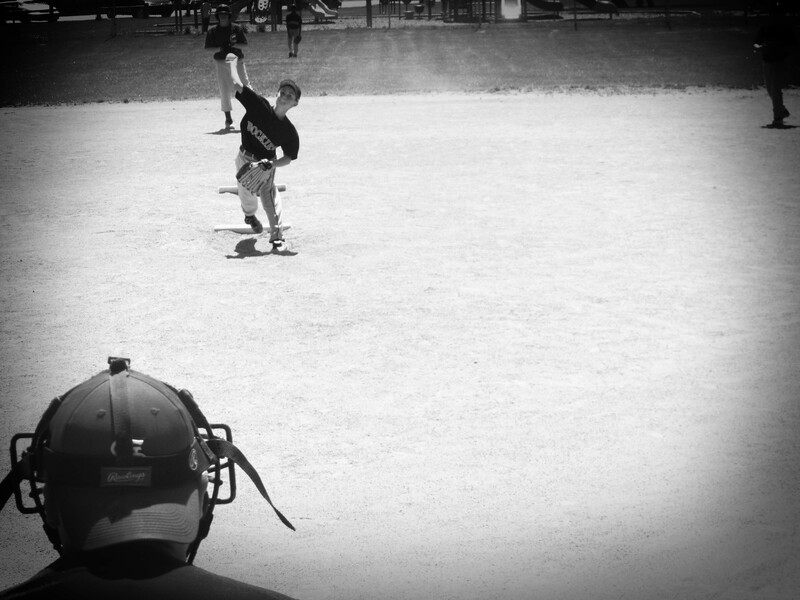 Directly from the soccer fields we headed to the baseball diamond for a very close game. 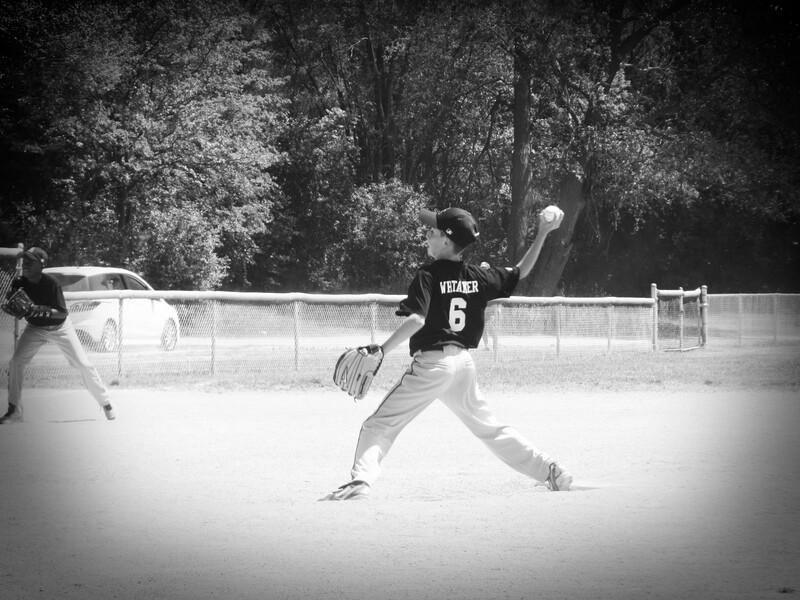 My son was pitching, and that always makes me nervous. . . .and here she comes. 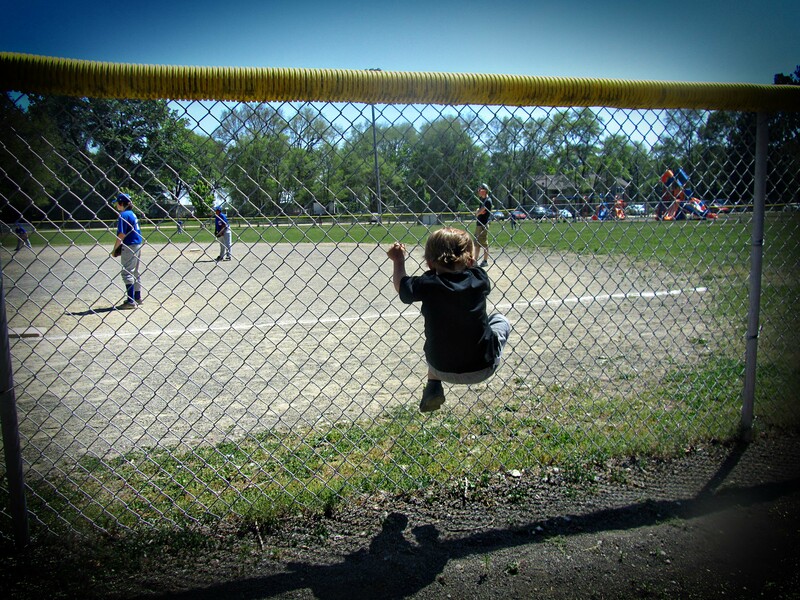 During the game Little Man climbed the fence. He also likes to play in the dirt with his friend’s trucks and super heroes. He usually is content. I usually watch him and the game. But this game was close, so I started focusing only on the game. I started running and calling his name, and The Hunni started running in the opposite direction. Moms and dads from both teams started searching for him. 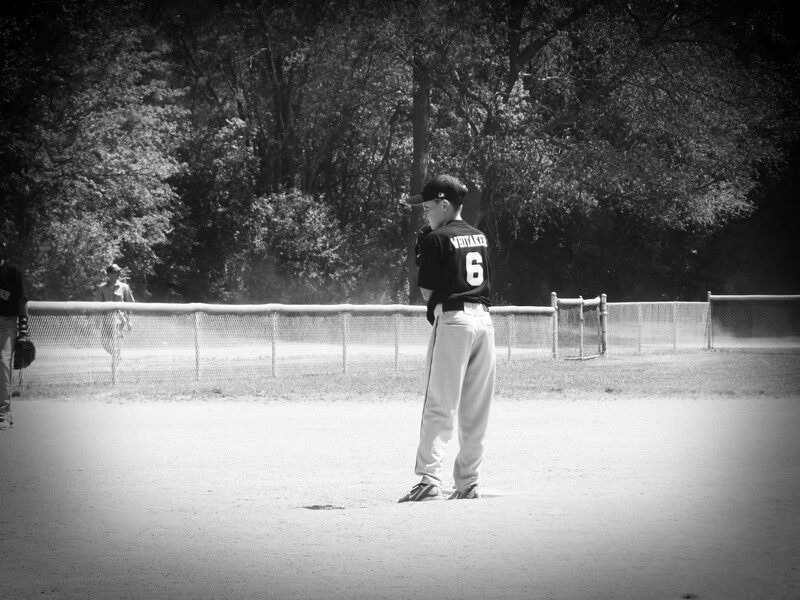 The Hunni found him at the play ground that was a baseball diamond away. How did he even know the playground was there? At this point I decided that I needed to just go home. If I couldn’t watch my kiddo, I didn’t deserve to be there. I left with the youngest three. We are a one car, one income, one bathroom family, so The Hunni had to catch a ride home. 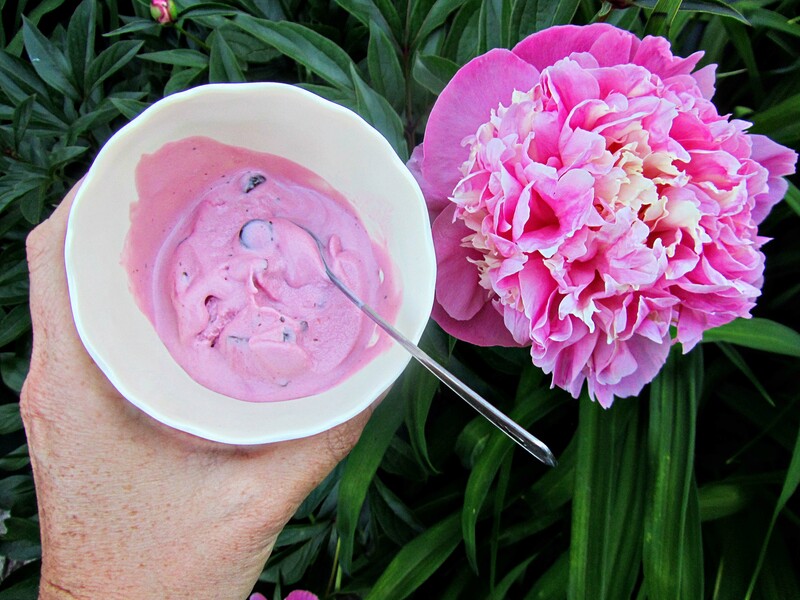 The color of the BLACKBERRY CHIP ICE CREAM was beautiful. 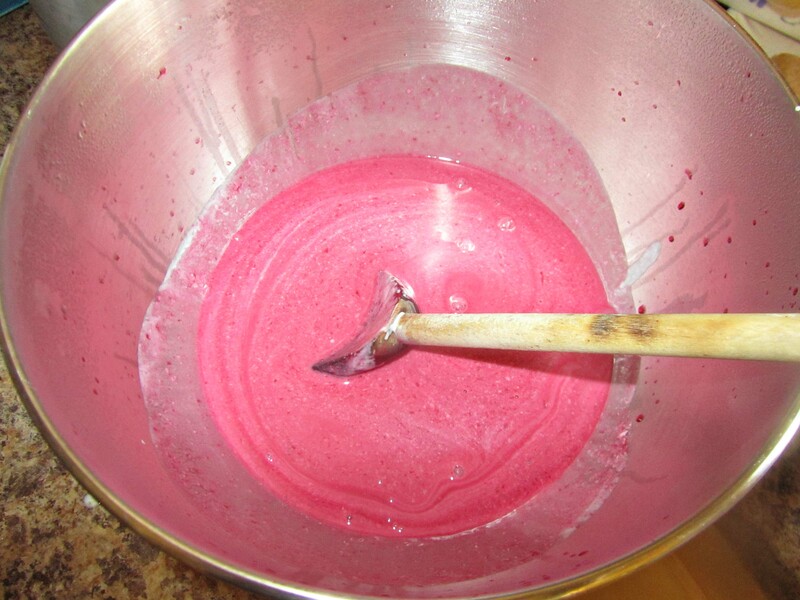 I added a little raspberry syrup that we had on hand, but other than that, I followed PW’s recipe. We had a friend of The Hunni’s come over for supper. The evening was a perfect temperature, so we ate outside. 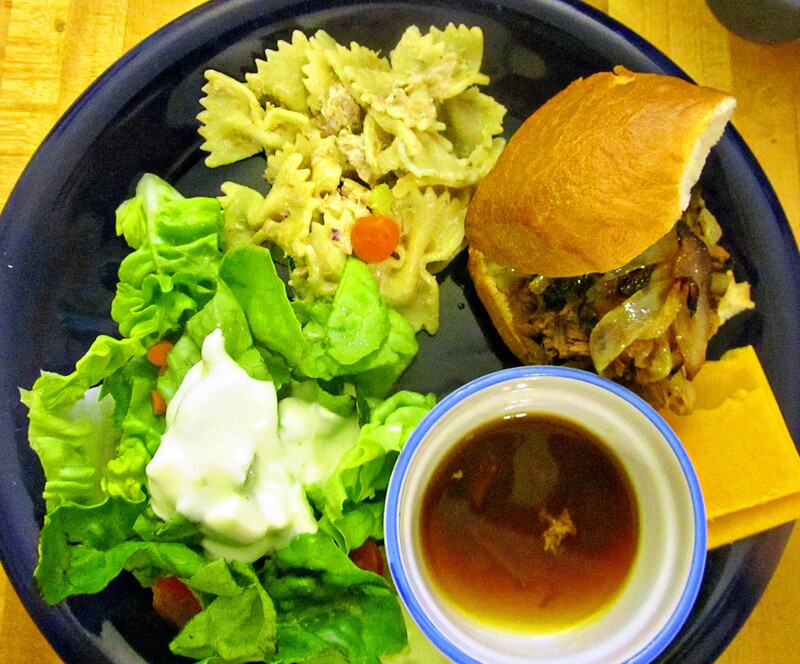 DRIP BEEF, CURRIED CHICKEN PASTA SALAD, and a simple green salad. 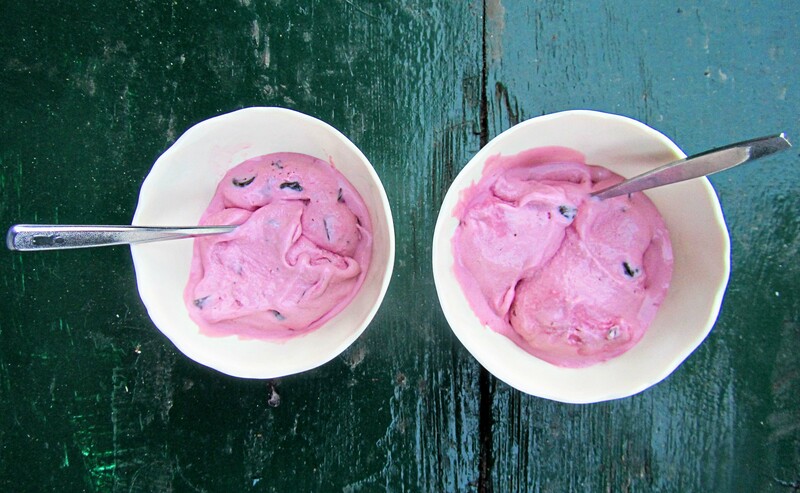 And for dessert, BLACKBERRY CHIP ICE CREAM. The evening was still young, so the younger two kids played outside before they finally were shooed inside for showers and bed. 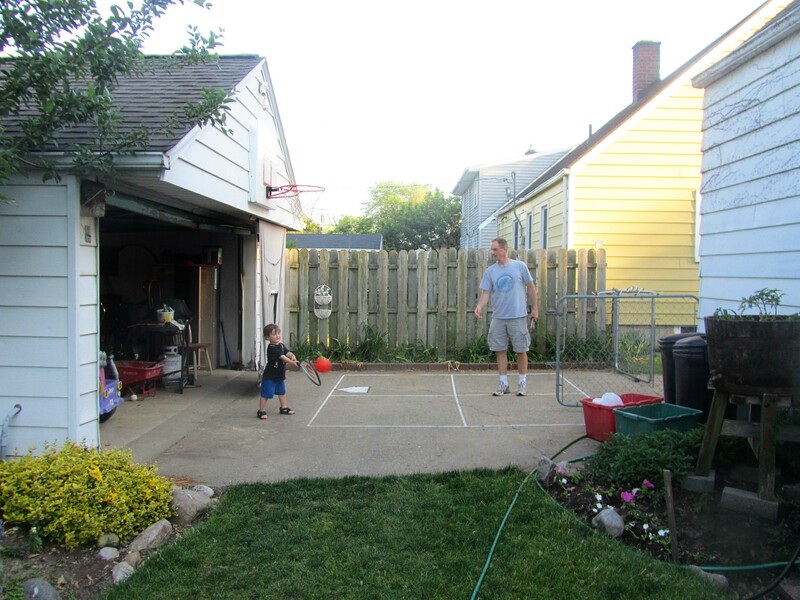 The older two kiddos had been invited to a Gym Night Out Reach–a gospel outreach–near Detroit. They wouldn’t get back until very late. There was an escapee, from the tub!! With the kiddos finally tucked in, The Hunni and I started on some yard work. 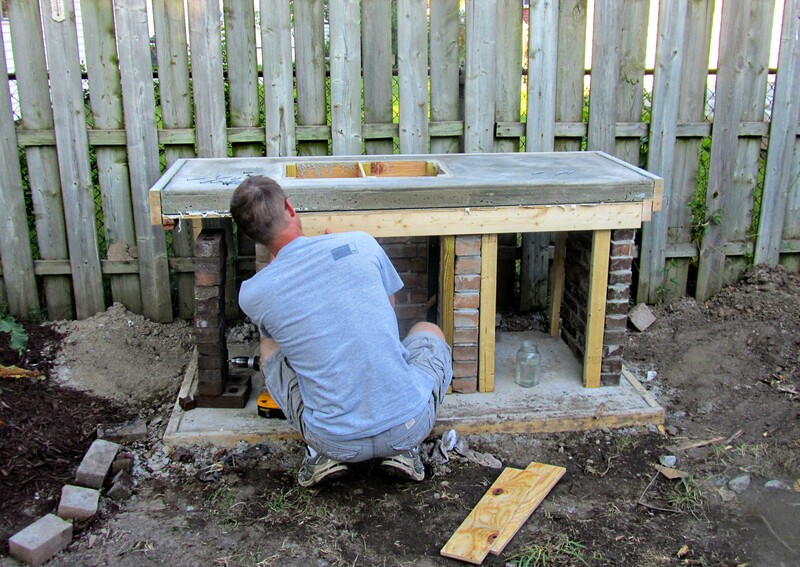 The Hunni wanted to remove the forms off the concrete slab for the built-in grill. 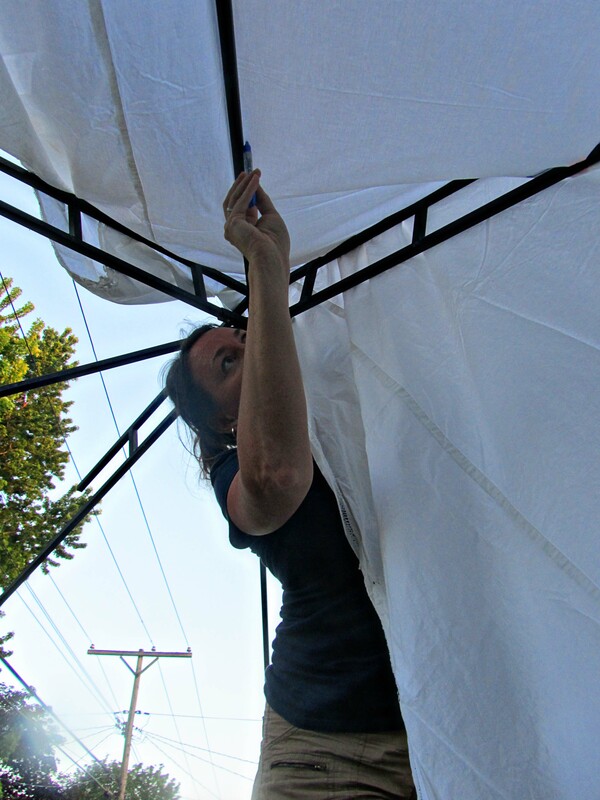 I tried to make a pattern for a new canopy for our pavilion that had blown off in a wind storm. This great expenditure of energy required another bowl of BLACKBERRY CHIP ICE CREAM. I had some prosciutto left over from the FIG-PROSCIUTTO PIZZA , so I decided to make a COWGIRL QUICHE (PG. 34). I had never roasted mushrooms before–sautéed them, but never roasted them. It works. Takes a bit longer than sauteing them, but less butter is used. 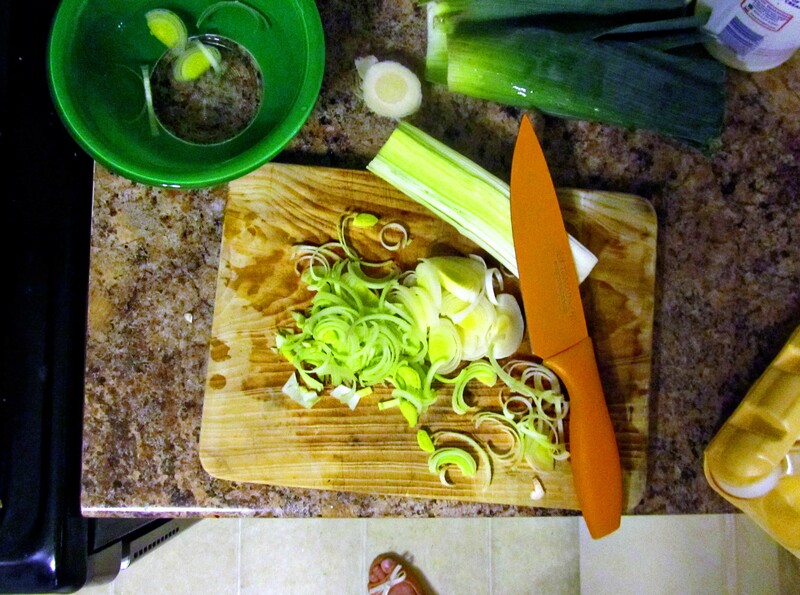 Pioneer Woman uses leeks instead of onions in her recipe. Leeks have a more mellow flavour than onions. If you ever want to grow your own leeks, just remember that they take one year to grow. You plant leeks in the fall and harvest them the next fall or late summer. You can also buy “sets” which are leeks that have already been started. This link has helpful information on growing leeks. 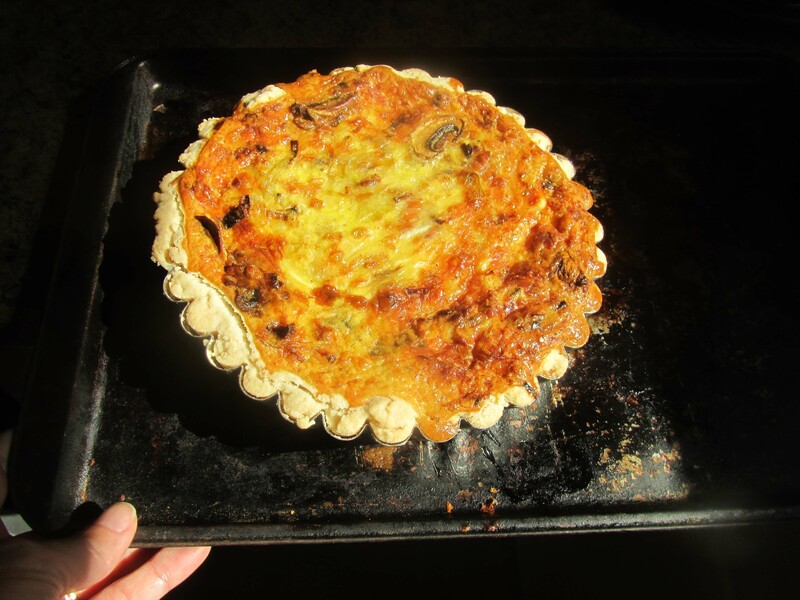 At 11:15 I pulled the COWGIRL QUICHE out of the oven. Just about the same time Scout and LBG (Little Big Guy) walked in the back door. They were tired after a very full day. Not all of the quiche filling had fit into my quiche pan, so I made myself a mini quiche. MMMmmmmmm! COMMENTS: DRIP BEEF is going to become a regular in this Whit’s End household. 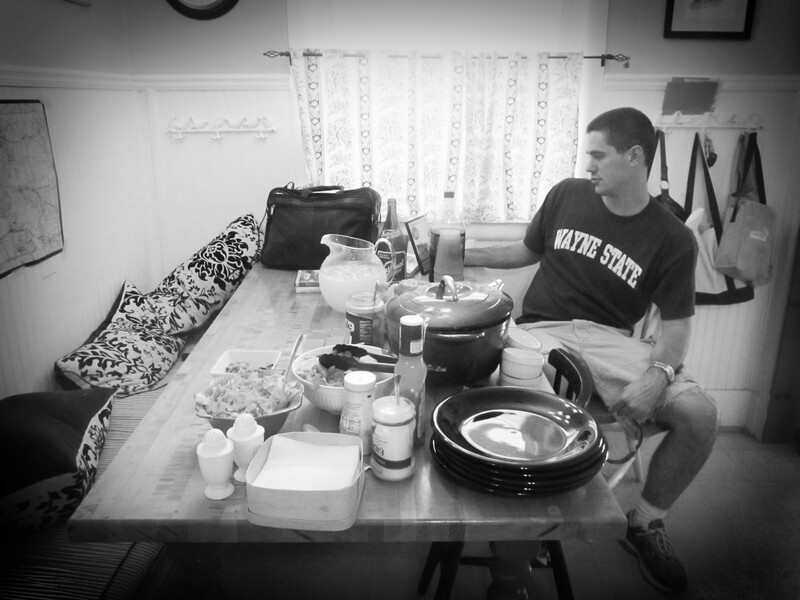 It was very easy, nourishing, and can cook all day and be ready when practice/game is over. I used my Dutch Oven on the stove, but I think I will use a Crock Pot next time. 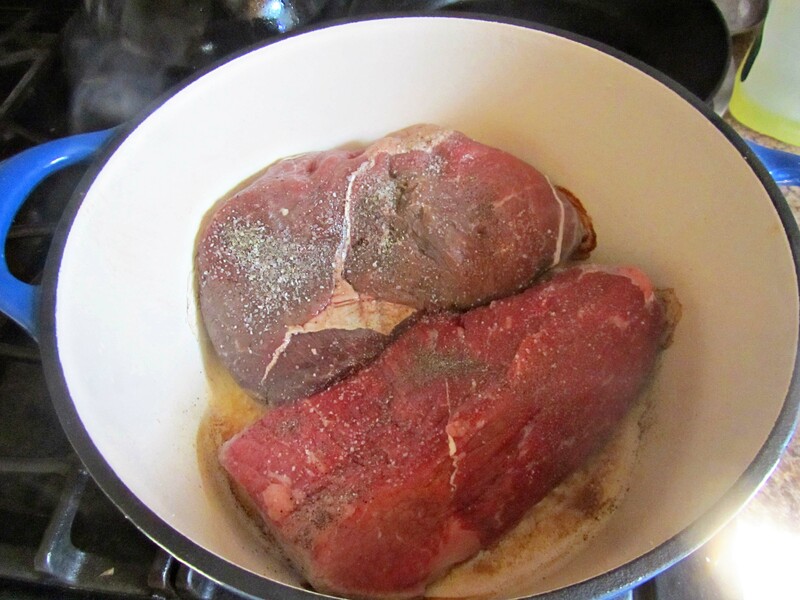 I didn’t get the heat low enough on my DRIP BEEF, and I almost cooked it dry. I added water when I got home to reconstitute it, and it tasted great. I am looking forward to trying this recipe with the hotter peperoncinis. 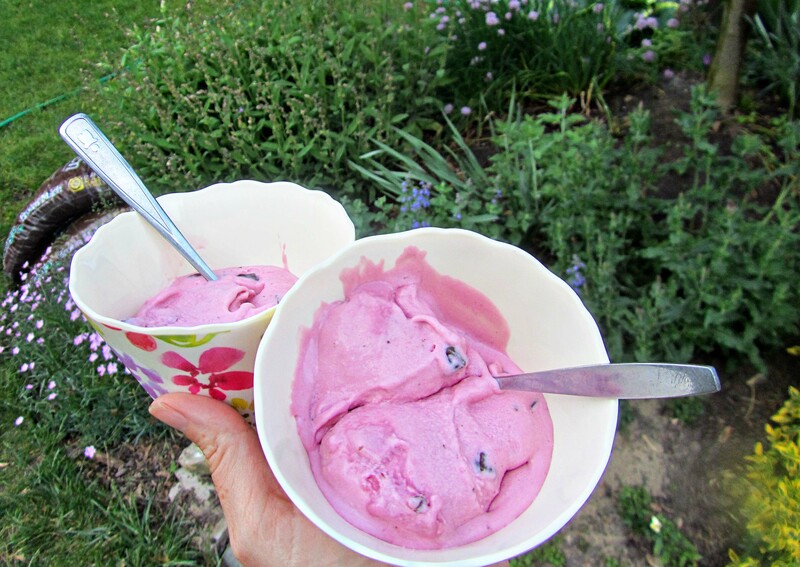 BLACKBERRY CHIP ICE CREAM is beyond belief lovely. I think I almost prefer it without the chocolate chips in it. This ice cream captures the essence of summer. PAM’S PIE CRUST. 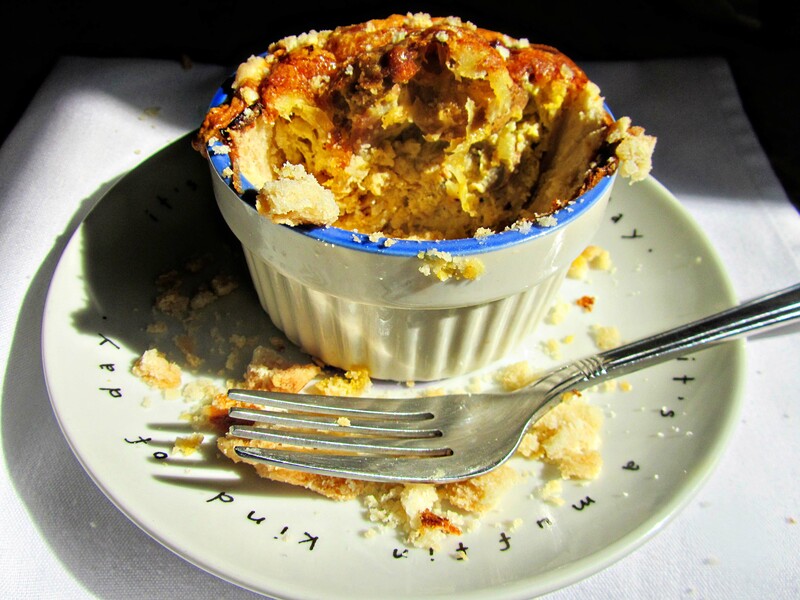 Read the entire tutorial about pie crusts to understand the process. I used a little lard in mine just to use up the lard I had bought when PW originally posted the pie crust tutorial. I just can’t in good conscious use lard. I just can’t. I use real butter. However, if you have a friend, kiddo, or visitor that can’t eat milk products, use regular Crisco in your pie crust. COWGIRL QUICHE took a little longer to bake than the 55 minutes. Mine took a little over an hour. The prosciutto in the quiche tasted just like ham once cooked. Save the expensive prosciutto for antipastas and such; when it will be cooked, use ham. The roasted mushrooms worked. I think I will use this technique again to reduce the amount of butter in our diet. Leeks are lovely, but onions will work if you are out of leeks. They are rather easy to grow, though, so if you love them, grow them. Mine even wintered over, so I pulled them late into the fall/winter and then again in the late winter/early spring. Hope you are learning from my mistakes. P.S. 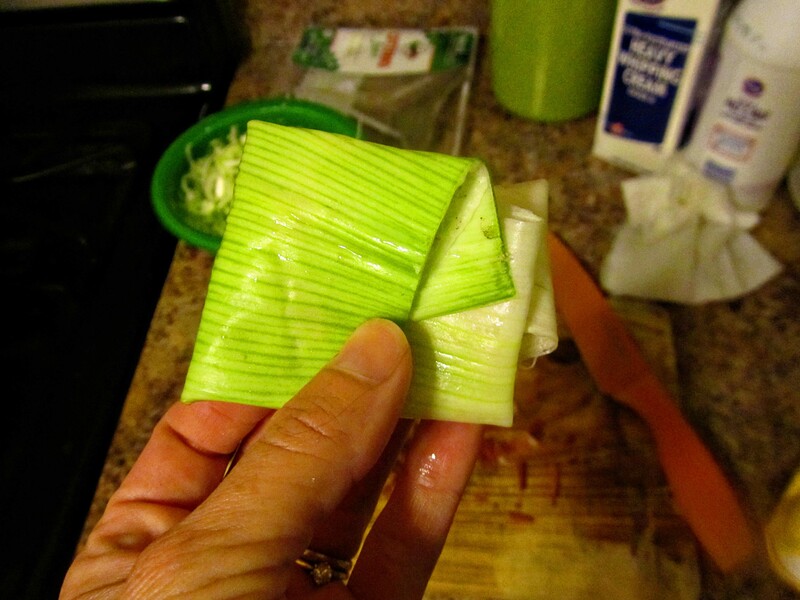 I think that leeks could be used to wrap something like corn husks wrap up tamales. Has anyone every heard of a recipe using leeks that way? This entry was posted in Recipes and tagged leeks, soft weapons. Bookmark the permalink. I will always remember when Damon was about 4…still in the stroller…disappeared at the mall. He had been climbing on the boat in the play area surrounded by cushioned seating.. but as he climbed the stairs and I stepped over the seating, he was gone. He made it down to McDonald’s. Pushing his own stroller. Taking out my wallet,at the counter, before a kind lady directed him to safety. Time now for a nice hot drink, I am trying to get rid of an ugly cold before my own celebration on Friday. Rest. The only medicine. It feels like a Sunday, but only Wednesday – hope you enjoyed some fireworks. Proverbs 4:4 He taught me and said “Let your heart hold fast my words, keeping commandments and live”. The story about Damon is funny now, but must have been scary then. Checking in to say that last summer we lost Sophie (she was eight) in downtown Ottawa. I had been taking photos of the locks on the Rideau Canal. Police were involved, and although they were friendly and quickly restored our daughter and her cousin to us, I felt we deserved their lecture. They mainly scolded us for not having working cell phones with us. 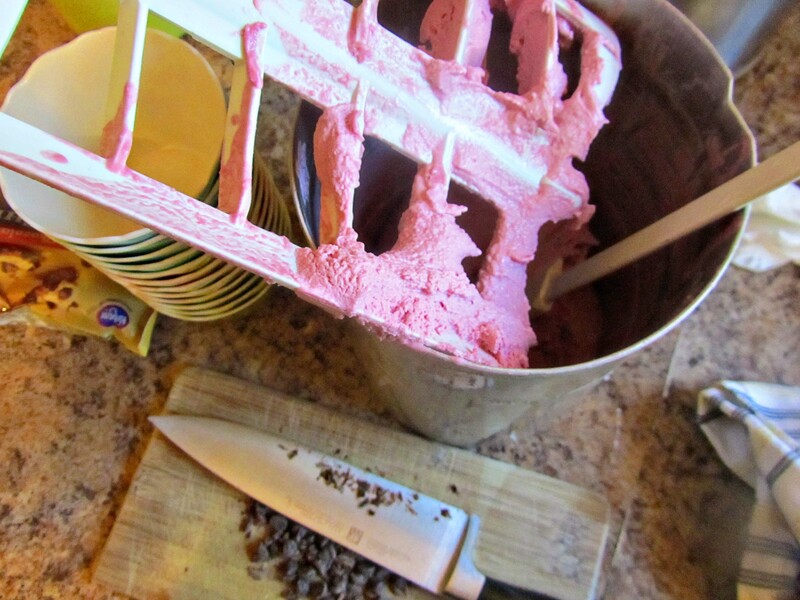 Also had to tell you that I made “boffers” with a boys’ book club when I was homeschooling in Pittsburgh. They were a huge success. We had just read some of the episodes of King Arthur and the Knight of the Round Table. Cameron still has his, and he dug it out on our recent visit to our house. Finally, love the photos of your LBG (?) 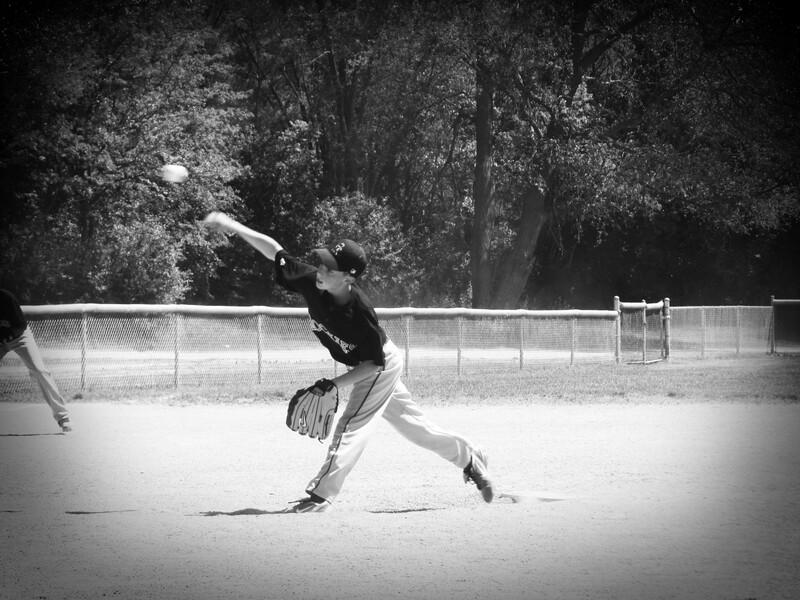 pitching. It is scary. Probably scarier in town than at a baseball field, although our baseball diamond is right by the railroad track that is a bum highway. I didn’t know the name of the soft weapons. “Boffers” is it? 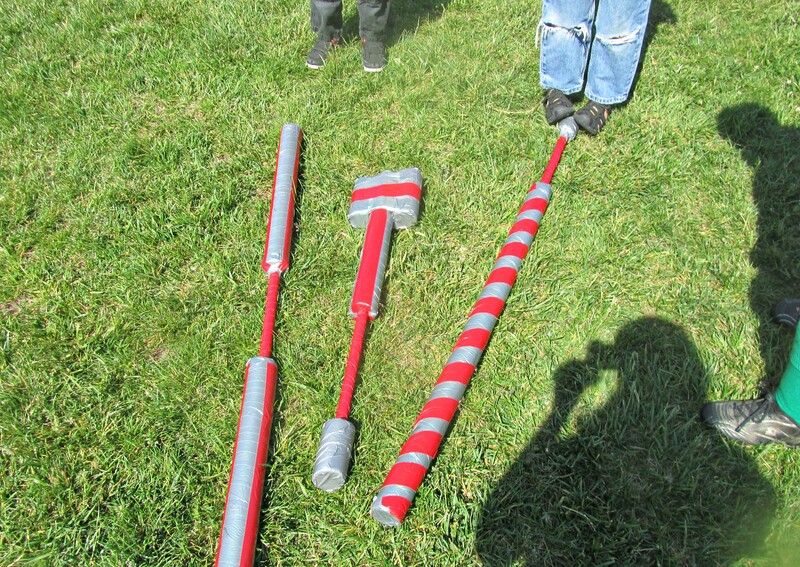 I am going to Google it and see if I can add a blog link that shows how to make them step by step. Wogging! How perfect! HAHA! Reason number 49 why I never jog! Loved the monkey on the fence picture! OH, that quiche looks marvelous! Hope you remember how to make it when we come out. My mouth is watering.